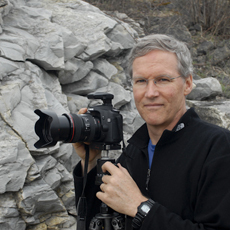 Trained as both a fine art photographer and as a geologist, Jonathon Wells has created scientifically accurate photo-geologic composites with both surface and subsurface views since 2002. He continues to build the existing Urban and Environmental series while initiating new series at sites around the world where he identifies a thought-provoking intersection of land use and underlying geology.Wells’ artistic process takes months of study and investigation. First, he searches for both landscapes and geologic frameworks that intrigue him.He might spend days documenting a single city block. To visualize the substrata, Wells will turn to old and new geologic surveys and maps, to utility maps and geologic field guides. He’ll pull off roadways to photograph rock exposures, follow road workers and underground cable repairs with his camera, waiting for an exposed opening—a “window”—that will allow him to capture a glimpse of what lies below us. 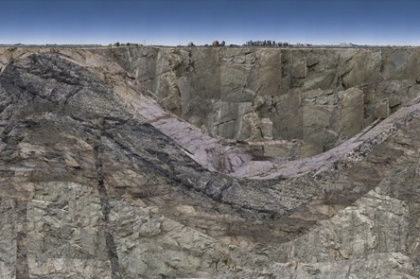 Finally, he creates the photo-geologic composite digitally, combining a documented landscape with the substrata below. 2011 Photographs in “Re-Imaging the Galapagos.” Authored by Jil Evans in Turning Images in Philosophy, Science, & Religion: A New Book of Nature. Co-edited by Charles Taliaferro & Jil Evans. Oxford: Oxford University Press. 2011. Figures 11.1, 11.2. 2013 Dave Bown Projects — 6th Semiannual Competition (Curators: Marisa Pascuci, Reto Thüring, Adelina Vlas) Honorable Mention. 2002 – Present Ongoing visual projects exploring urban and environmental sites of interest in North and South America. 2005 Pumped groundwater from bedrock aquifer to measure response in nearby water wells in Vermont. 2003 – 2004 Assessed environmental condition of commercial properties prior to transfer of ownership in New Hampshire. 1999 – 2001 Worked on former electrical transformer manufacturing facility adjacent to Hudson River. Investigated groundwater flow and recovery of PCBs from fractured bedrock. Sampled groundwater for chemical analysis from wells surrounding landfill in New York. 1997 – 1999 Managed groundwater-monitoring program around a landfill that is being remediated with soil vapor extraction technology in New Jersey. Obtained regulatory approval to lessen the sampling frequency and to convert to low flow sampling methodology. Studied the potential impact of re-opening estuaries that had been diked and used to grow salt hay in Delaware Bay. Interpreted groundwater level data and salinity levels to assess impact on domestic drinking water wells and septic leach fields as part of nuclear power plant re-permitting process. 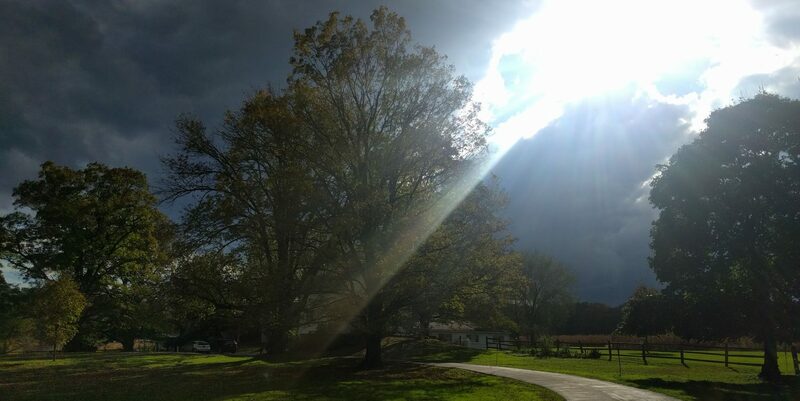 Reported on the historical and current condition of groundwater and soil where a chemical release had occurred at a former chromium plating facility located in karst hydrogologic environment in Pennsylvania. Coordinated the United States communication of field studies at an industrial facility in Belgium where injection of sugar containing liquid was proposed to be used to enhance bacterial degradation of volatile and semi-volatile organic compound contamination. Completed final closure report for a surfactant manufacturing facility that had operated in New Jersey for 30 years. Reviewed aerial photographs with stereoscope to see in 3-dimensions and topographic maps to identify bedrock fractures as traces in the land surface near a hazardous waste site in New Jersey to identify preferential groundwater flow patterns. 1996 – 1997 Assessed the affect of municipal water well use on neighboring water wells in Pennsylvania for renewal permit application. Inventoried and sampled contents from remaining drums and storage tanks at abandoned meatpacking and rail car repair facilities for a Brownfield land reclamation project in Pennsylvania. 1992 – 1996 Studied groundwater and surface water flow patterns under tidal influence at a contaminated former industrial property on the edge of Puget sound and along the Columbia River in Washington State. Operated groundwater flow model for the emergency drinking water supply well field used by The City of Portland, Oregon. Used the model to identify pumping scenarios that would minimize contamination plume migration and to create groundwater capture area maps for use in land use zoning and hazardous material use regulation to protect the water resource. Managed database containing chemical, geologic, and hydrogeologic data at a former pesticide and herbicide manufacturing facility in the Willamette River valley in Oregon. 1991 – 1995 Worked on thesis research studying the hydrogeology of an upland valley groundwater flow system in Central Massachusetts. 1989 – 1990 Oversaw drilling and installation of groundwater monitoring wells in bedrock contaminated with PCBs in Maine. Monitored the removal of gasoline and fuel oil leaking underground storage tanks and of contaminated soils in Massachusetts. Measured groundwater and surface water levels and sampled groundwater for chemical analysis at computer circuitry board manufacturing facility in Massachusetts. Tabulated chemical and groundwater level data. Posted and contoured the data on maps and cross sections and interpreted groundwater flow patterns. Graphed chemical and groundwater level data over time. Assisted in geophysical investigations in drilled boreholes and over the land surface at hazardous waste sites. 1986 – 1988 Laboratory assistant in a trace metals lab and in a biogeochemical lab. Worked on research funded by the USEPA in Boston Harbor and funded by USGS in Minnesota. 2008 Coursework in art, University of Minnesota, St Paul / Minneapolis, MN (2008).